Not all IT and Computer problems need to be fixed at your home/office or at our workshop. Many problems can be fixed remotely. If not they may need an onsite support call. 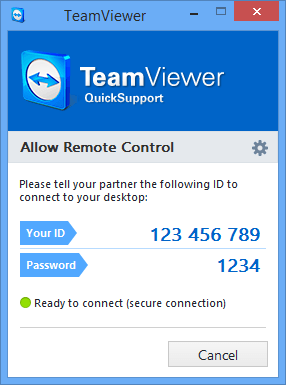 Our computer technicians can help with remote computer support for selected clients with prearranged agreements or by ad-hoc clients paying over the phone by credit card. $42 (After hours, weekends and public holidays) per 15 mins. 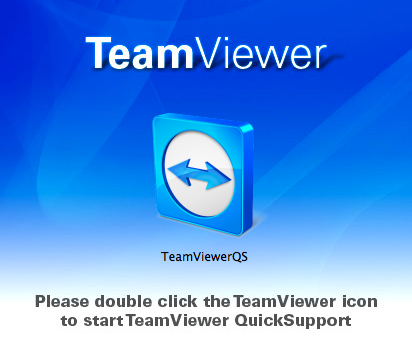 After downloading the Remote Control Software “Teamviewer” a popup window similar to the following image will appear on your screen.